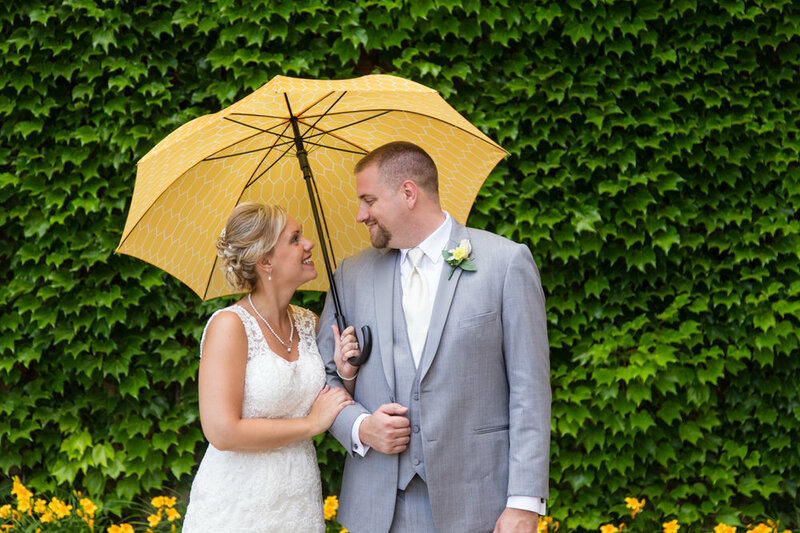 What we loved most about Andrew and Becca's wedding at Grand Valley State were all the little moments between the two of them and the people they care about in their lives: their friends and family. 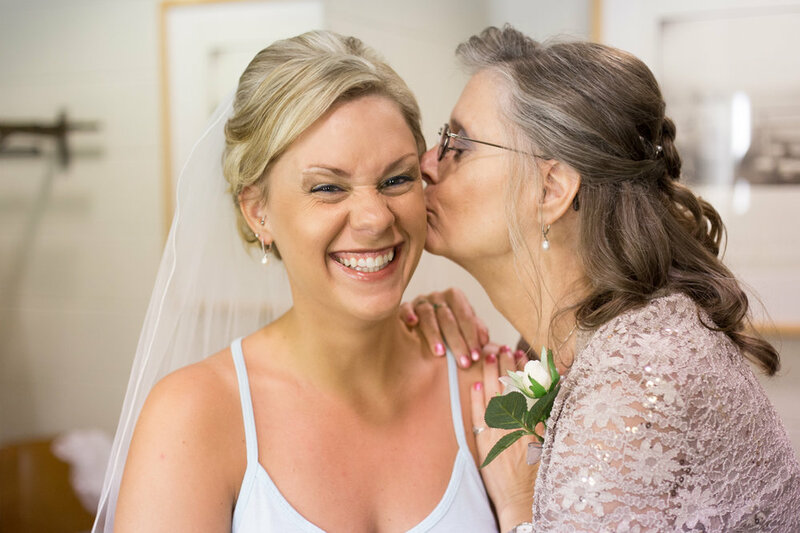 What we think you'll love most about the wedding photos will be seeing what a wedding ceremony and reception at Grand Valley State in Allendale looks like. Becca was referred to us through her hair stylist. Kristi is a former bride of ours who will be celebrating 10 years of marriage in October. She and her husband Brian were at the wedding and it was wonderful to see the two of them as well. After Andrew and Becca's Blanford Nature Center engagement photos last fall, we knew these two were comfortable in front of the camera and with each other. All we needed to do on their wedding day was help manage the time (we were only scheduled for 6 hours of photo time) and make sure they had all the moments captured that mattered to them. 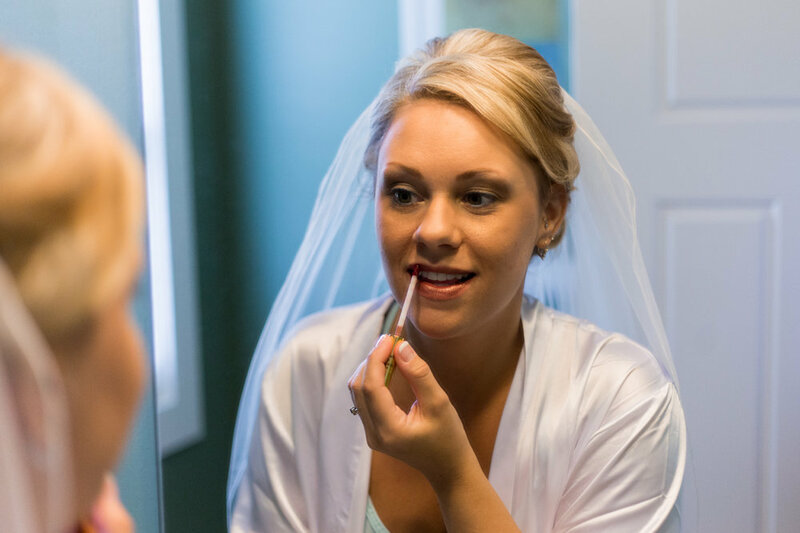 The day began with a few 'getting ready' photos at a bridesmaids home just down the road from Grand Valley State. 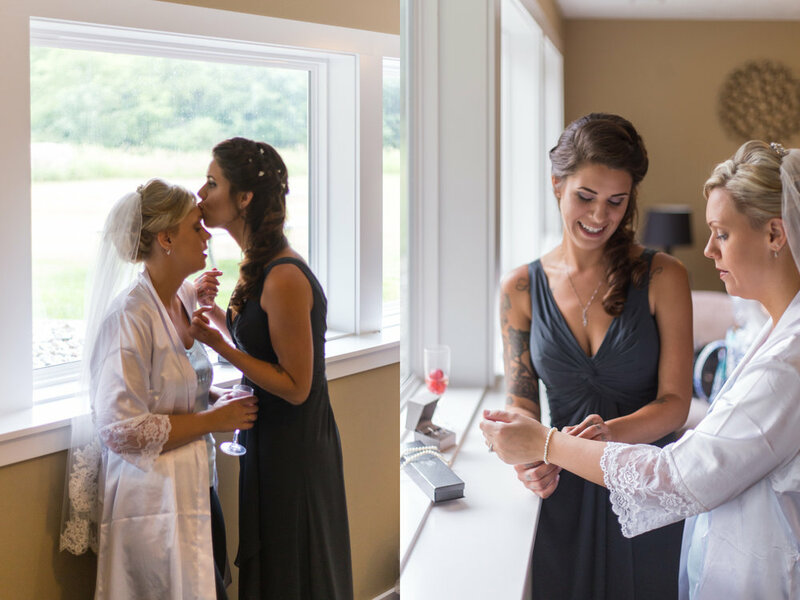 Hair and makeup were done and Becca looked fantastic as she put on the final touches of jewelry (and eventually her dress). We then headed over to Grand Valley State where Becca put all the final details together of her wedding dress, Andrew and his guys posed for a few quick portraits outside (as we weren't sure what the weather was going to do later in the day) and Becca and the ladies posed for a few portraits outside the Cook-DeWitt Center. Becca's father walked her down the aisle and the youth pastor that introduced Andrew and Becca to one another (many years before) performed the ceremony for her two former youth group attendees. The Cook-DeWitt Center is a beautiful location with fantastic window light from one side of the room. With it's classic white walls, simple seats and raised organ, the setting is second to none for a wedding ceremony. Following family photos, we spent a few minutes with Andrew and Becca inside the chapel and then headed outside with the entire wedding party. Grand Valley has so many options for photo locations, all we needed to do was exit the building and use the locations immediately around us on campus (including the ivy covered wall and fountain). The evening finished at the Alumni House on Grand Valley's campus. Shane from Dream Productions was the emcee for an evening filled with fun, laughter and a wonderful meal.